After a surge in refinances in the previous week, the volume of mortgage applications continued to slide as interest rates rose to their highest level in several months. 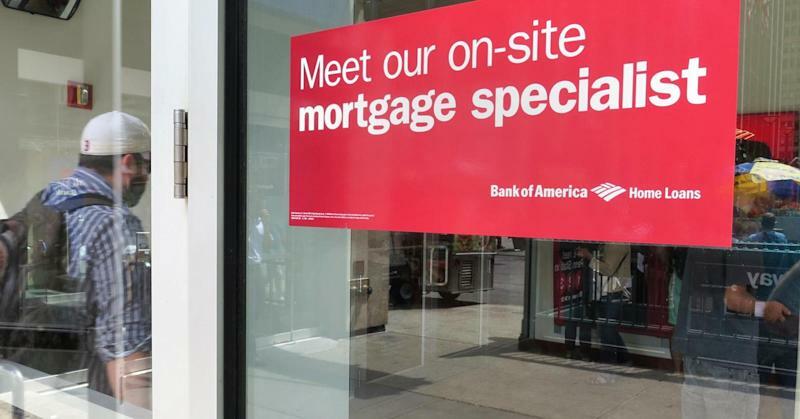 Total mortgage applications for the week ending September 19th fell 4.1 percent on a seasonally adjusted basis from the previous week, according to the Mortgage Bankers Association (MBA). "Following last week's FOMC (Federal Open Market Committee) meeting, interest rates continued to inch up, as the end of QE (quantitative easing) was confirmed, and investors anticipate the first increase in short-term rates by the middle of next year," said Michael Fratantoni, chief economist at the MBA. "Mortgage rates were higher for the week, so it was not surprising to see refinance application volume drop again. Purchase activity remains stagnant on a seasonally adjusted basis," he said. Applications to refinance a loan fell 7 percent week-to-week and were down 31 percent from a year ago. Applications to purchase a home were down 0.3 percent for the week and down 16 percent from a year ago. This is a larger annual gap than the market has seen in several weeks. "Purchase mortgage applications have trended down over the past three months, despite the declining interest rate environment," noted Doug Duncan, Fannie Mae's chief economist in his monthly economic outlook. "This suggests a residual conservatism on the part of consumers and supports our view that the pace of growth in the housing sector will be subdued during the remainder of 2014, with modest improvement in 2015." Read More Are we building too many homes? The average contract interest rate for 30-year fixed-rate mortgages with conforming loan balances ($417,000 or less) increased to 4.39 percent, the highest rate since May 2014, from 4.36 percent, according to the MBA. However, rates are moving lower again. "Thankfully, that trend has since reversed and we began this week with slow, steady improvement. Compared to the damage done since late August, it's not much, but it could motivate more locking and application activity this week," said Matthew Graham of Mortgage News Daily.